After our hugely successful involvement with the Canal and Rivers Trust’s ‘Stratford 2 Stratford‘ project, here’s a look back at what went on and what it was all about. The Canal & Rivers Trust (CRT) devised a project to take 30 students from Stratford in East London to Stratford-upon-Avon where they would perform A Midsummer Night’s Dream. A journey would go by boat from near the Olympic Park to Berkhampsted, then by coach to Hatton and then the rest of the way by boat. They booked both of our boats for the Hatton to Stratford-on-Avon section and later asked if we could crew three UCC boats (two for the students and one for a TV crew) over the same section as well. At a meeting with CRT on 6th March, attended by Mike Wilton – Caley, Nigel Smith and Brian Eaton we found out that the students would not be on board for a lot of the time when travelling from Hatton to Stratford-on-Avon. 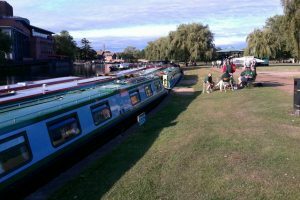 This would mean that we would need lock operating crew in addition to boat Skippers so we immediately asked for a sixth boat for crew accommodation, which CRT agreed too. LNBP had also booked a pitch for our show marquee at the Stratford River Festival which was being held on the same weekend that we were there. Guinevere and Lancelot had been out on a normal weekend hire for the two days prior to our setting off. Thanks to Martin and Boz for ensuring that the boats were returned on time on the Sunday. The turnaround was done in stages while travelling to Hatton to ensure the boats would be pristine on arrival. The group of 30 students from Chobham Academy (16 – 18 year olds) were already at CRT Hatton, rehearsing under the leadership of ‘The Rubbish Shakespeare Company’. The TV crew were busy filming and editing what was going on. After introductions and confirming the programme for the next few days Mike went through our own briefing documents with the students. As Peter had not been able to meet us at Hatton, our model boat (for use in the display marquee) was moved from a spare bunk onto the TV crew boat where Brian had to share a double bed with it for some nights! Smoothly that is until Lancelot & Guinevere passed through the lock onto the River Avon! 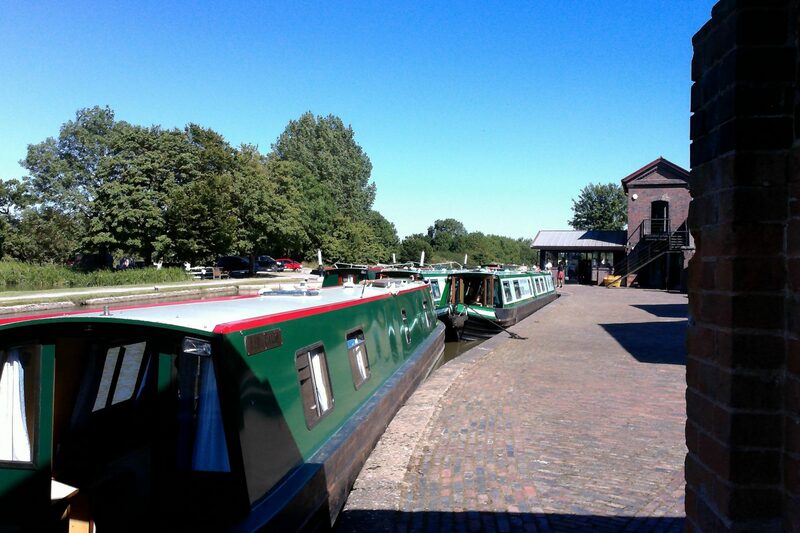 After the lock had drained it was necessary to move the boats backwards to allow the bottom gates to open. We did not discover that both boat rudders had been dislodged from their cups by the lock cill until we were out of the lock and onto the river, without steerage. Fortunately bow thrusters came to the fore and both boats were eventually safely moored alongside the bank. After a visit from an engineer from our good friends at UCL the next morning, all was well and both rudders were fixed.